Another best-selling roller banner stand, the Nimble roller banner is the best thing since sliced bread. So use your loaf and buy one! 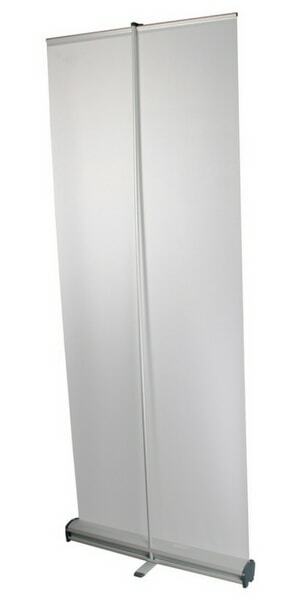 At 800mm wide, it’s great for smaller spaces. Despite being light to carry, this roller banner stand is surprisingly solid; a single twist-out foot gives it stability. So it will be a perfect partner at conferences, exhibitions and events. 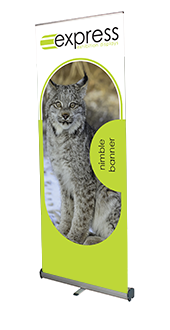 All in all, the Nimble is a great budget pull up banner stand at £54.99+ VAT, complete with printed graphic and carry bag.